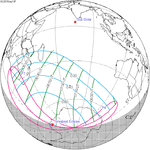 The solar eclipse of August 11, 2018 was a partial solar eclipse that was visible in the north of North America, Greenland, Northern Europe and north-eastern Asia. 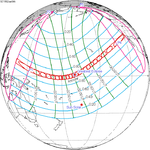 The maximal phase of the partial eclipse was recorded in East Siberian Sea, near the Wrangel Island. 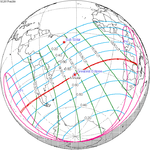 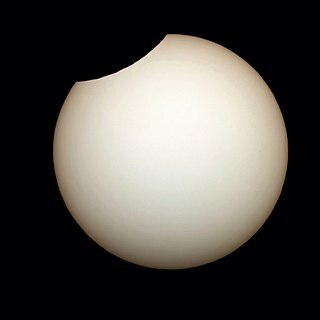 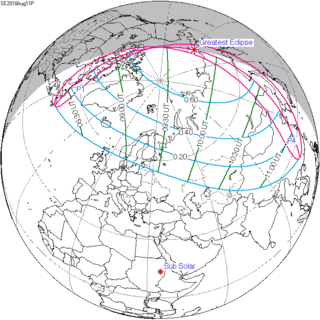 The eclipse was observed in Canada, Greenland, Scotland, most of the Nordic countries (Iceland, Norway, Sweden, Finland), Estonia, Latvia, practically throughout Russia (except for places southwest of the line roughly passing through Pskov, Moscow and Penza, and the most eastern places of the Far East), in Kazakhstan, Kyrgyzstan, Mongolia and China. 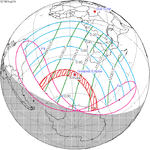 During the sunset, the eclipse was observed in North and South Korea. 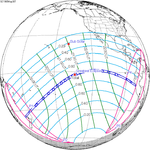 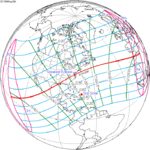 Wikimedia Commons has media related to Solar eclipse of 2018 August 11. 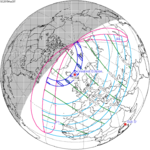 This page was last edited on 6 January 2019, at 11:13 (UTC).